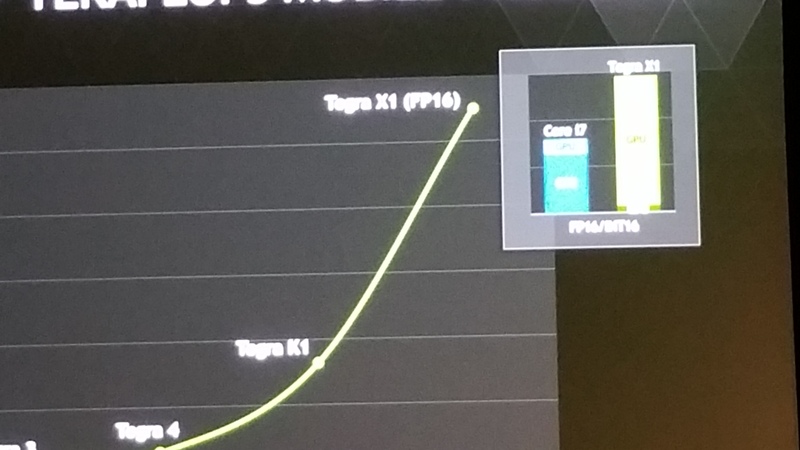 Still from the slides shown the Tegra X1 looks to have an impressive performance envelope and puts it in a class all of its own when compared to some of the competitions’ products that are already on the market. 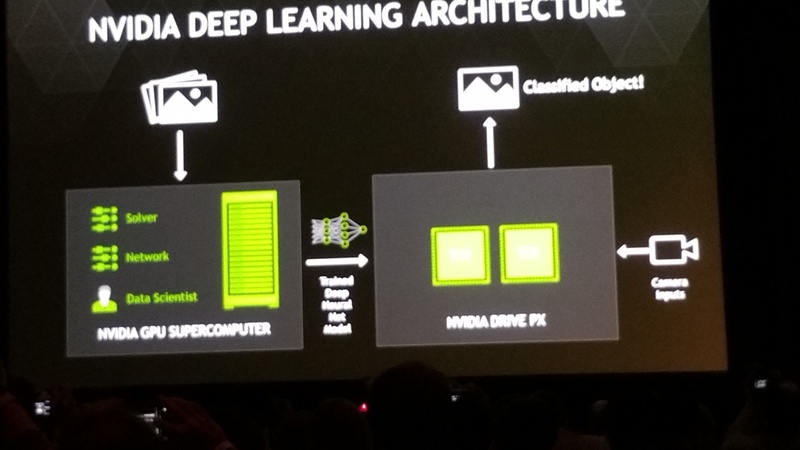 Huang also touted compute performance of 1 TFlops. 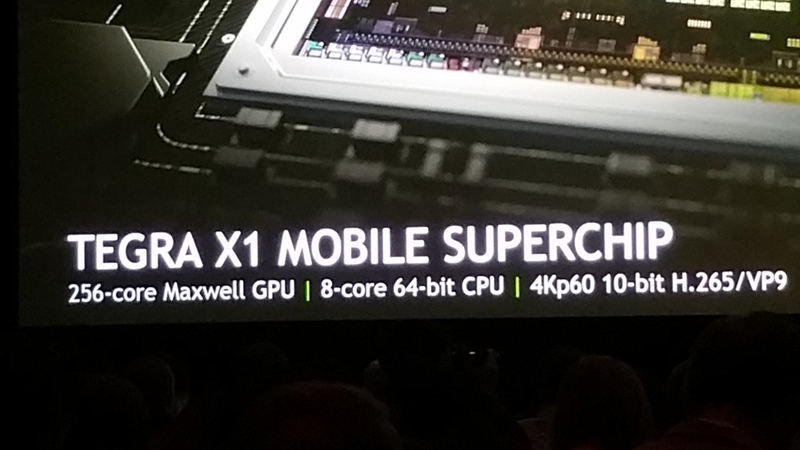 This is not bad at all for a mobile chip, but the claim that it matched the super computing power of super computers in 2000 is a little much. 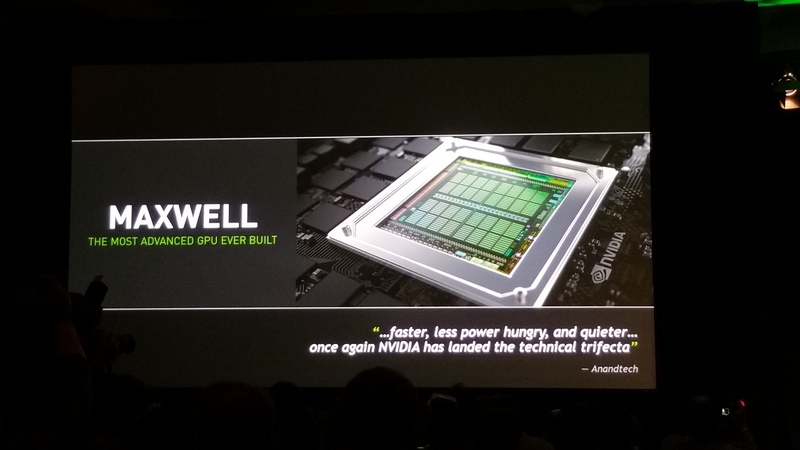 Overclocked Athlons and Pentium IIIs were hitting 1TFlops in that time frame as well. 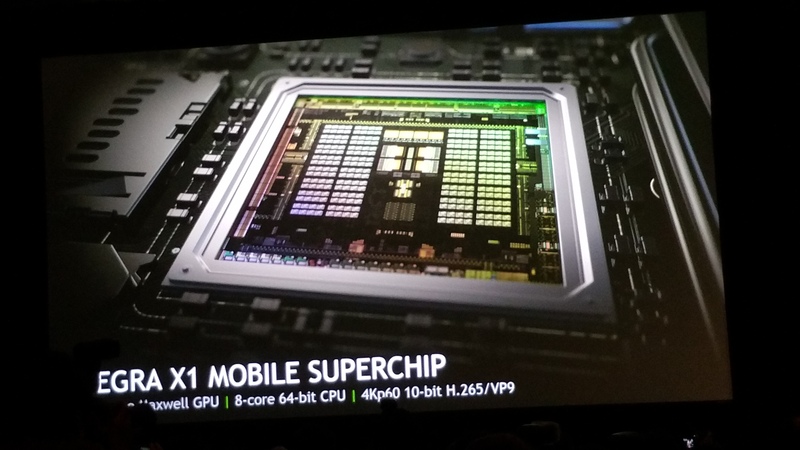 Still the performance is impressive for a mobile chip. 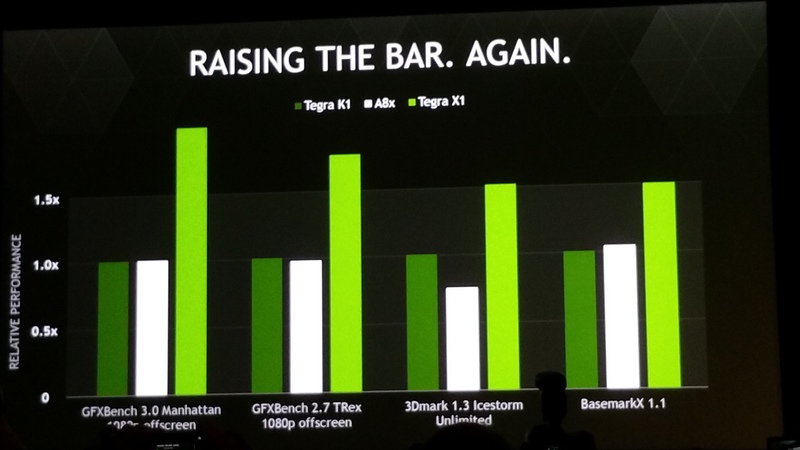 To show off the video performance we were treated to a real-time demo of a tablet based on Tegra X1 running the Unreal Engine 4 based demo Elemental. 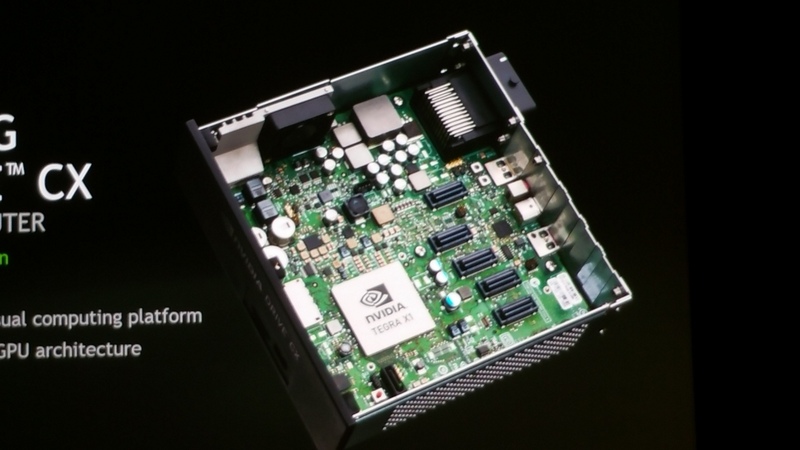 This demo typically pulls 100+ watts on an AMD based Xbox One, but only 10 watts on the Tegra X1. 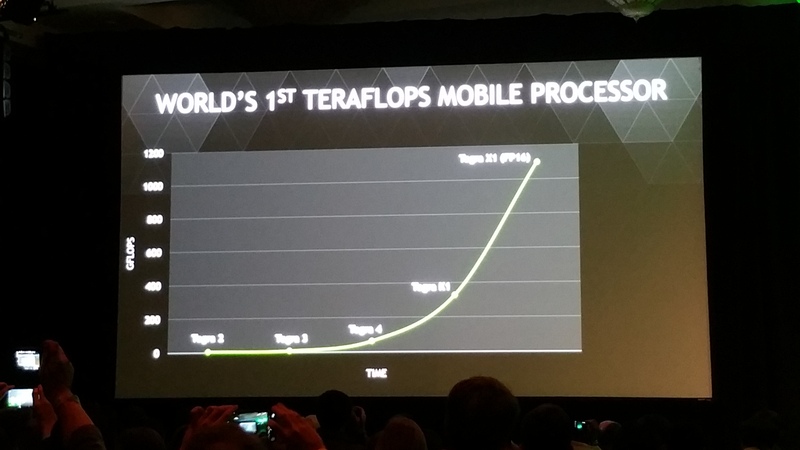 It was pretty a pretty impressive demo, but it was followed up by a disappointing comment. 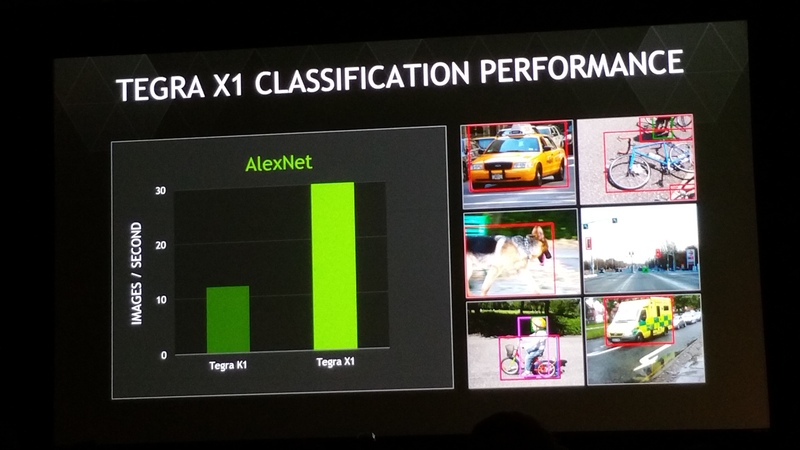 Huang made the comment that this kind of processing power was not needed in a phone and he quickly dove into details of where nVidia was positioning the X1: automotive. 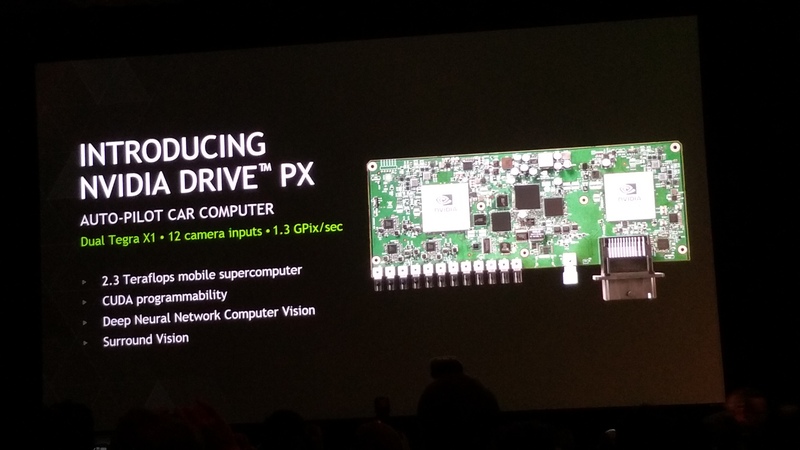 The X1 is all about turing the car into a super computing platform. 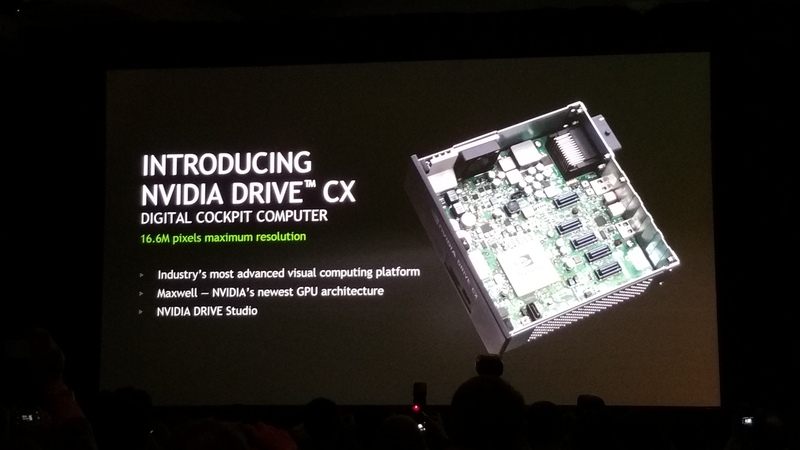 They showed us the new Drive CX which is designed to power multiple displays inside a vehicle with rich content the demo was impressive, but perhaps a little too long for what it really does. 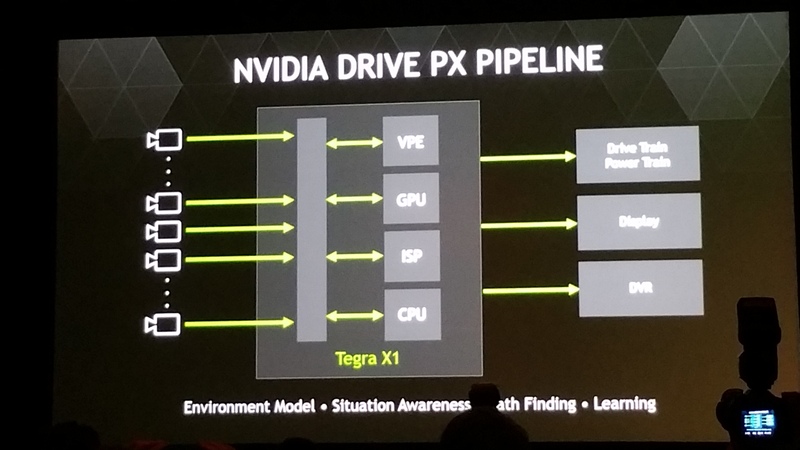 Huang stopped the presenter multiple times to stress details that were very obvious to anyone in the industry. 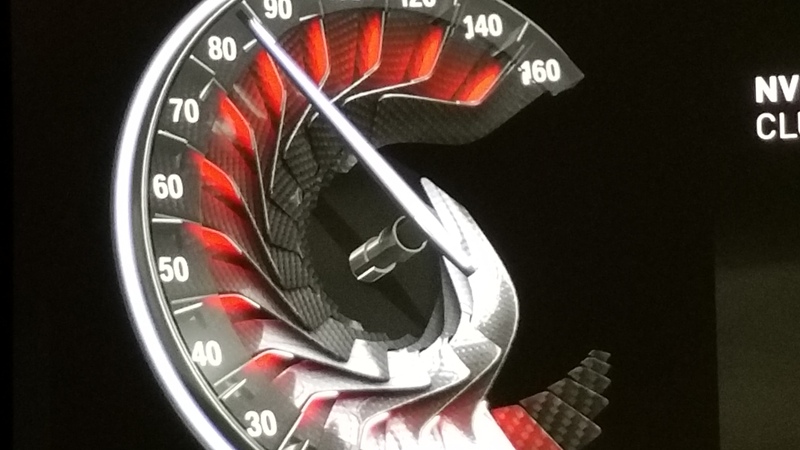 This made the demo drag out a little (video to follow). 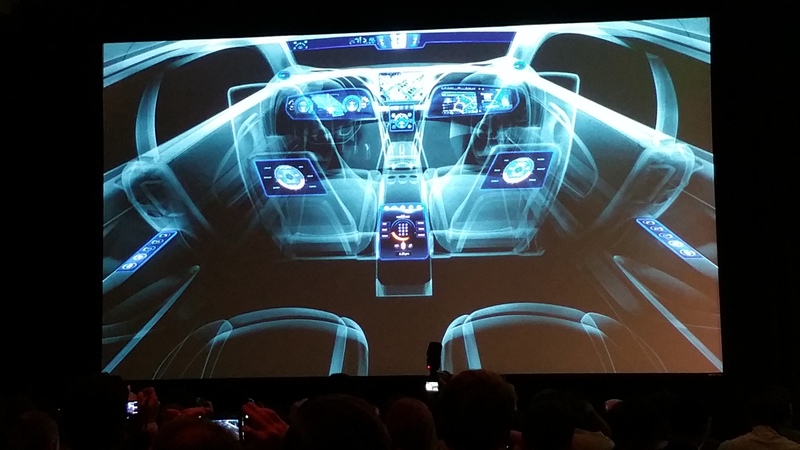 After the video we were treated to another X1 platform, the Drive PX auto pilot car computer. 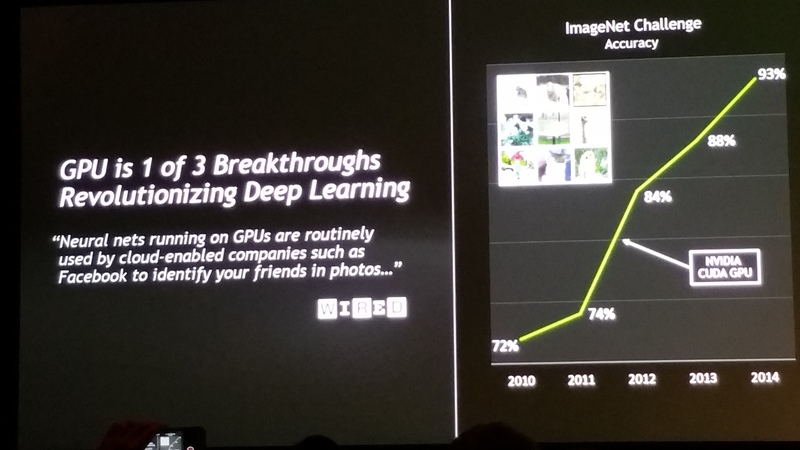 This demo was also rather long winded, but interesting to say the least. 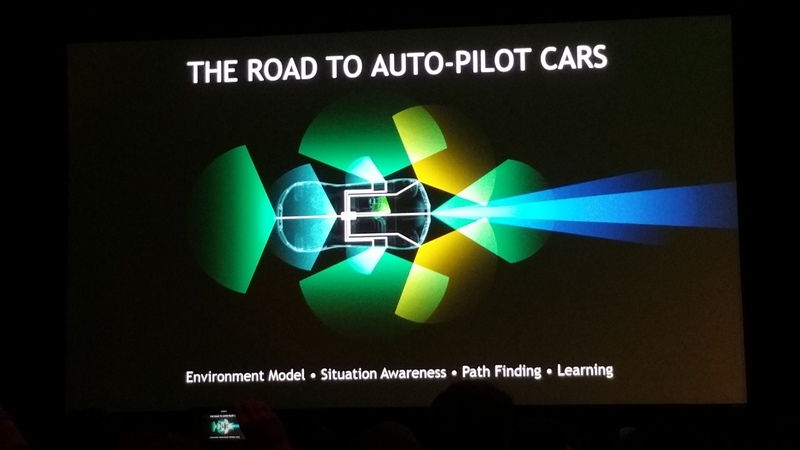 The final part of the show was very lengthy and included a brief talk by nVidia partner Audi about how great working with nVidia is and what the future holds (including an auto-piloted car driving from LA to Vegas).